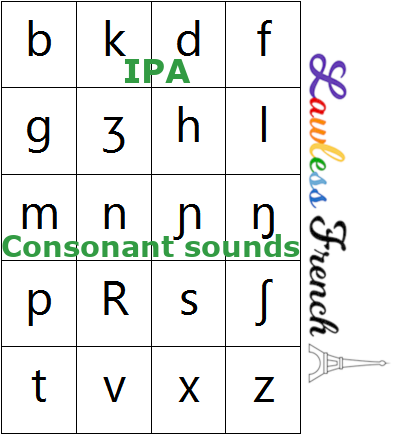 French has a total of 20 French consonant sounds, and thus 20 IPA symbols for these sounds. 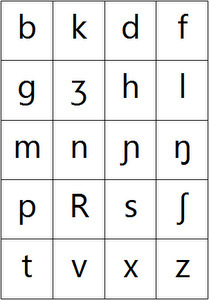 However, three of these sounds are only in words borrowed from other languages and one is very rare, so there are really just 16 French essential consonant sounds. Click the links under "spelling" for detailed lessons on those letters, and the links under "examples" for sound files.